StubHub makes it easy to get fans of all types to the events they love. But this holiday season, they wanted to make the experience of ticket-getting and gifting fun, memorable and oh-so-sharable. 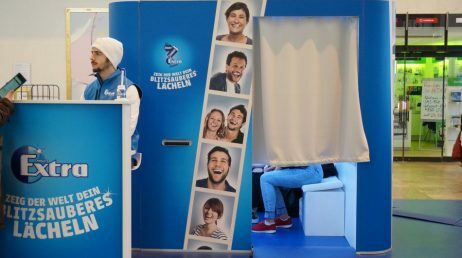 It had to launch on the mother of all shopping days: Black Friday. 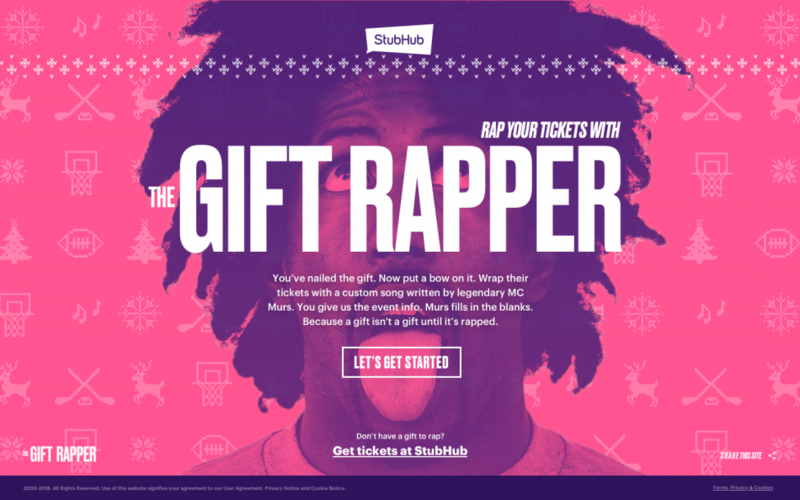 We combined the power of hip hop and artificial intelligence to create Gift Rapper—a holiday experience that allowed users to gift event tickets in the most engaging way possible. 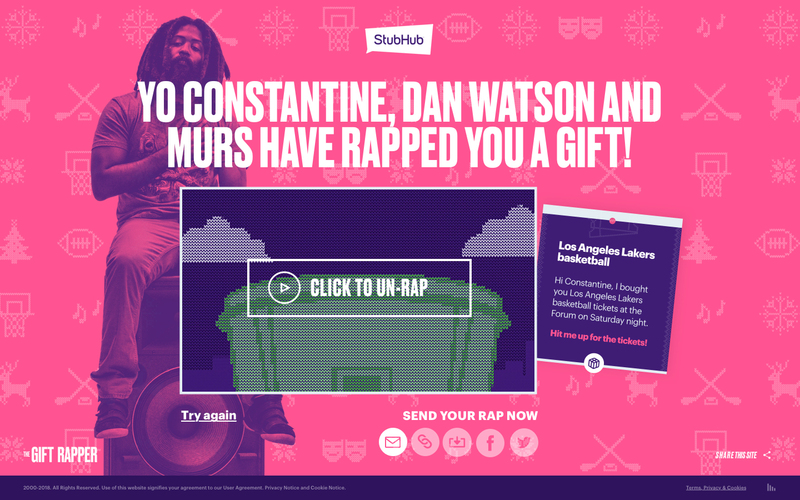 We asked a series of seemingly simple questions to start, but behind the scenes, our AI was churning a dynamically-generated rap (written and performed by Guinness record setter MC MURS). The end result is a “bit-gift”—a sweater-clad animated rapper who sounds off holiday cheer depending on what kind of ticket is being gifted. It’s whimsical. It’s fun. It’s nostalgic. And, best of all, it gifts friends and family what they really, really want. The front-end is built on top of React, Redux and styled components, and the backend is supported by python built on top of Flask. The app lives on Google App Engine standard environment and uses datastore and Google Cloud Storage to house all the assets. The quiz itself had 8,160 possible different results, and each answer had a corresponding snippet in the lyrics and time code in the background music. We built a node application that generates all the song variations; for each song, it mixes the audio recordings into a full track, generating subtitles file in a SRT format. To create the final result, the node application combined the voice audio track, background music, motion graphics and subtitles together into a single video file. 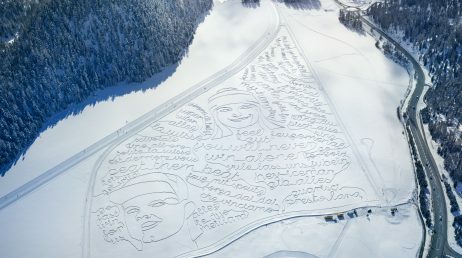 Countless event-fans gifted their loved ones memorable experiences in quite an animated way and shared the results across the Internet. And for those lucky enough to get a custom rap-ticket, it would be a holiday they would never forget.